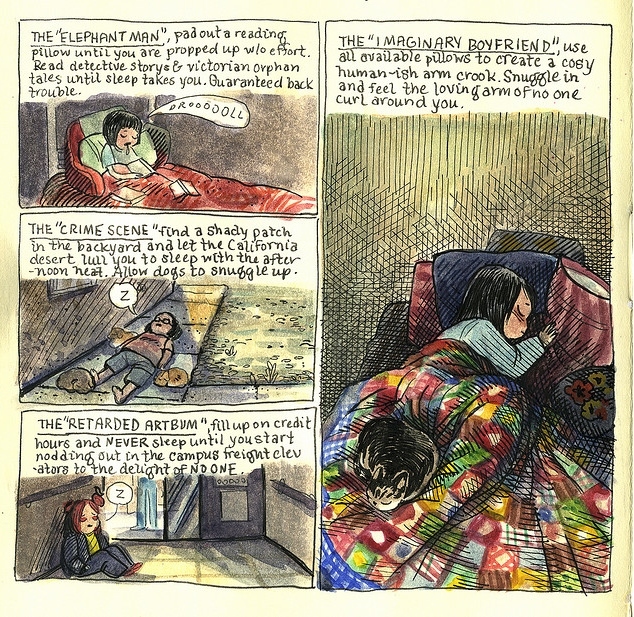 Park’s comics have won her an Ignatz Award and earned her an Eisner nomination, and she's also the illustrator for two middle-grade kids' book series written by James Patterson, Middle School and I Funny, though this will mark her first full-length comic book work. Her strength as a storyteller and artist lies largely in her drawing style- not only does she simply draw exceptionally well, her art is very rich in a traditional illustration sense, lots of crosshatching, whilst mainly using ink and washes. Her cartooning is attractive: charming and expressive- she really manages to convey a range of emotions and moods so effectively, without ever losing a sense of warmth. And she's funny. 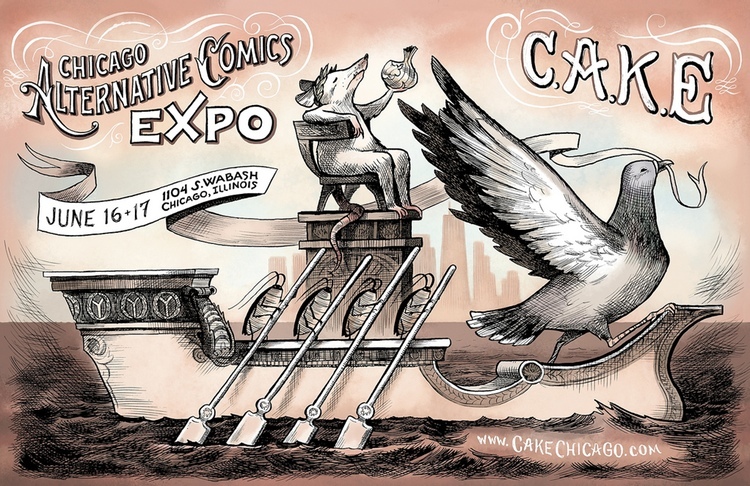 If you've not come across her work before, here are a few links I'd recommend perusing: her online portfolio, her Flickr account which is an absolute treasure trove, these two delicious-looking recipe comics she did for Saveur- here and here, and a personal little favourite: this poster she created for the CAKE festival. 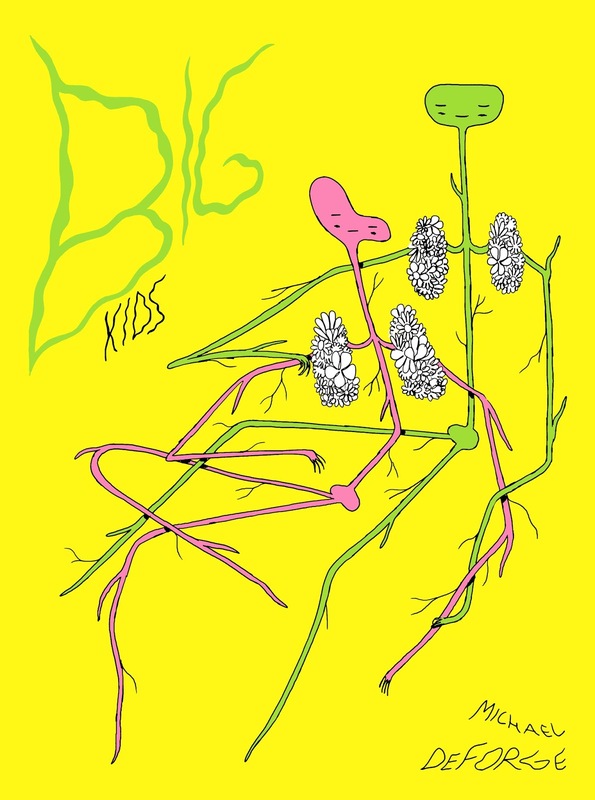 Next up is Michael Deforge's Big Kids, an all-new previously unserialised 120-page book due for publication in January next year. 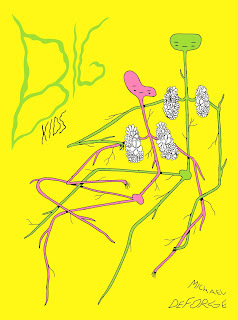 I came a bit late to Michael DeForge's work. I'd heard and read so much about how amazing it was, and because I find that I can get affected by a barrage of opinion either way, I wanted to come to it in my own time and on my terms. So I only started reading him last year- Ant Colony, Very Casual, First Year Healthy, his online comics; I'm still catching up. 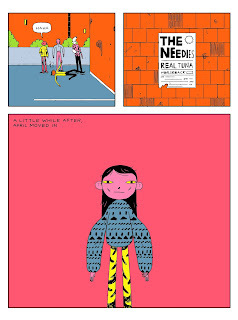 His work is remarkable: what makes it special to me is that even though his style is specific it also feels familiar. His stories are often seemingly odd or surreal, but they have a very particular verisimilitude which I connect with. It's beautiful ( his visual sense, design, and colour are so strong) and different, but it also always feels real. 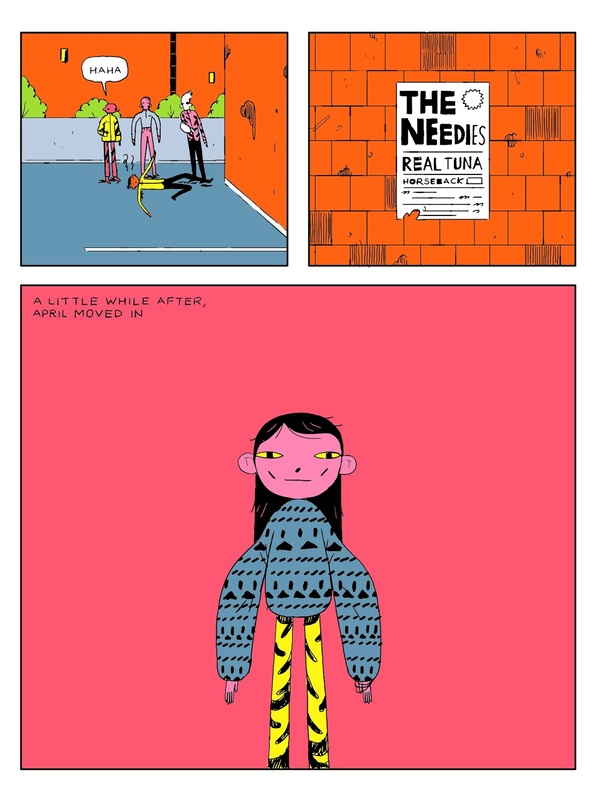 DeForge is one of my favourite -and undoubtedly one of the most excellent- cartoonists working today, and as a comic fan, I feel lucky that he's pretty prolific. 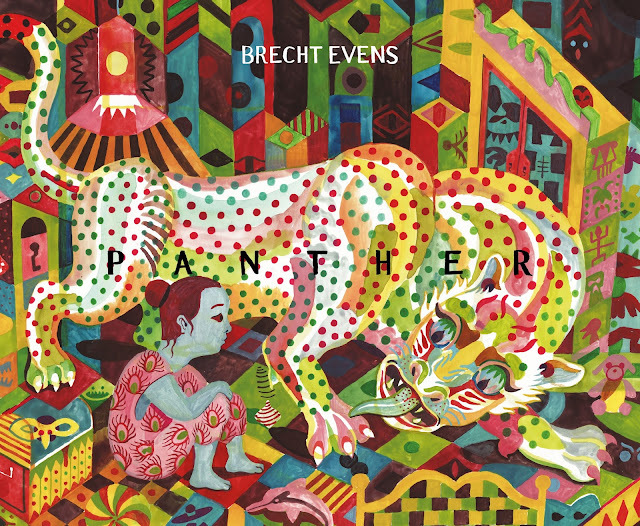 D&Q also announced a new book from Belgian artist Brecht Evens (Night Animals, The Making Of, The Wrong Place), Panther, which will release in March 2016. Evens is a gifted painter, and whilst I loved the energy and loose nature of Night Animals, I found The Making Of difficult to get into, even as I appreciated him doing something different. 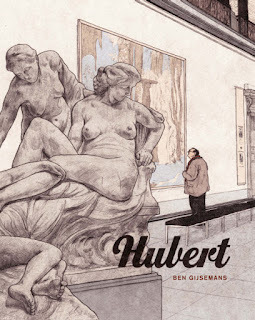 His style there didn't appear best suited to expressing the kind of emotion and life required from the characters, and as such the painted figures felt somewhat faint and intangible. Panther, which straddles real and imagined worlds and encompasses a darker subject matter, looks like it could be a better fit. 'Christine lives in a big house with her father and her cat, Lucy. When Lucy gets sick and dies, Christine is devastated. But alone in her room, something special happens: a panther pops out of her dresser drawer and begins to tell her stories of distant Pantherland, where he is the crown prince. A shape-shifter who tells Christine anything she wants to hear, Panther begins taking over Christine's life, alienating her from her other toys and friends. As Christine's world spirals out of control, so does the world Panther has created for her. ' Reading the excerpt of the book on D&Q's website, and actually seeing the pages (a couple of which are below) makes me think this something I'd be interested in. And that concludes this batch of Drawn & Quarterly announcements: I like how mixed the range of work is, and yet it's all fresh, contemporary cartooning, which attests to the incredible quality in the medium right now.